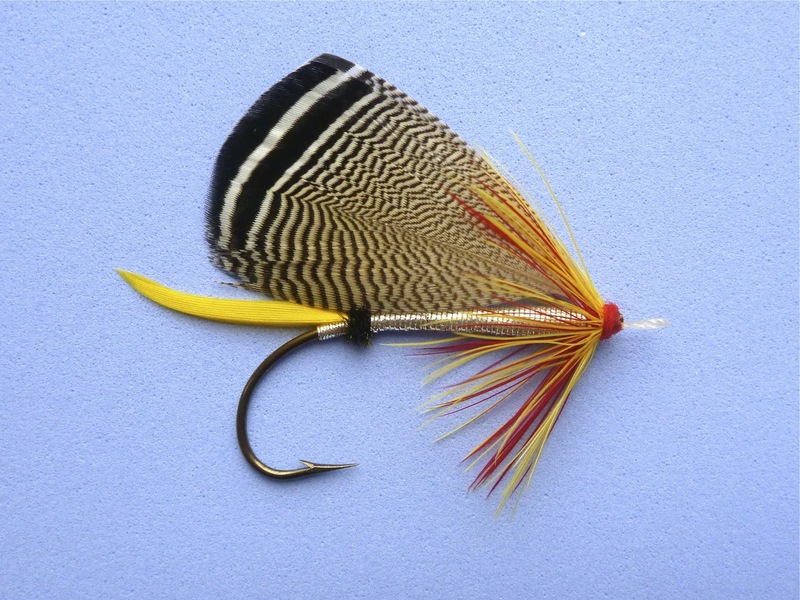 To the fly tyer not yet initiated and/or experienced in tying classic Atlantic salmon flies, Kelson's Champion probably doesn't look all that much different from the myriad of similar classic patterns. In fact, flashier flies like the Popham or the Jock Scott probably look more difficult to dress than the Champion. Don't let its relatively simple body construction fool you, however. The Champion has one of the toughest winging arrangements in all of classic salmon fly tying. In fact, I consider this one of the most difficult flies to dress of any, regardless of style or intended species (of known/established patterns). The difficulties really begin with the wood duck underwing. Because of its stem structure, wood duck is extremely difficult to set directly atop and parallel to the hook shank (when tied in by the stems, not by compressing the barbs of the feather). To practice the technique, the day before, I tied the Tomah-Jo, a Mary Orvis Marbury lake/bass fly. The Tomah-Jo was my first attempt at tying full wood duck wings. I had no guide to go by, which was probably turned out to be a good thing in this case. As such, I kind of stumbled on a method of mounting the wood duck feathers which, as far as I know, is at least partially unique. 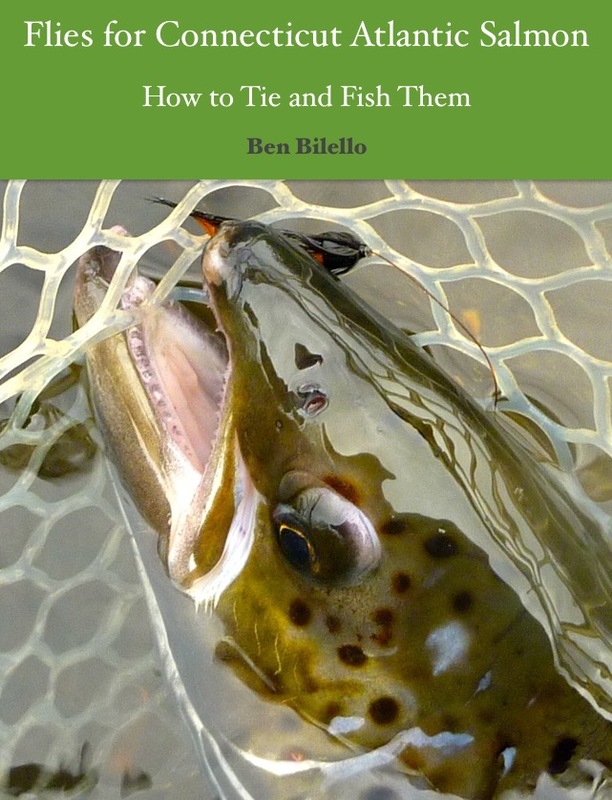 I might document the method in a later blog post if I can get a good photo set up at my tying desk. Anyhow, successfully tying Tomah-Jo gave me the confidence to move on to the Champion. Adding to the Champion's ornery nature is the individual application of later wing components. The married strips are added in small sets instead of all at once. One regret I have is that I did not marry the teal into the wing. My teal was too short for a fly this size. This was my first stab at the Champion. I tied it mostly from memory of Kelson's plate in "Land and Water". I do not own the book, so some things wound up being a little different than the original. If there is a next time around, I am going to tie this fly smaller and follow the "Land and Water" instructions as closely as possible. In all, I am very happy with the results, especially considering how large it is. I am no longer intimidated by stem-mounted wood duck wings. In fact, I'm looking forward to the next one. It was a pretty good way to spend a snowy weekend.